This video shows Ruby performing fully autonomous landings of a Multiplex Merlin and Funjet in strong and turbulent crosswind. 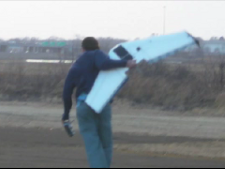 In each landing, the pilot had hands completely off the controls. Normally, you can help Ruby to make a softer touchdown by smoothly pulling back the right stick as it gets within a foot or two off the ground to "flare" and slow down. 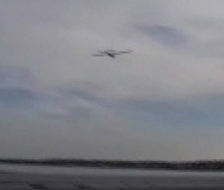 Repeated precision autonomous landings of a Ritewing Zephyr including some in a 15 knot crosswind. 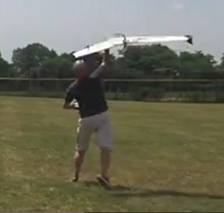 A launch and precision autonomous landing with Ruby in control. A shortened low altitude landing pattern more suitable for hemmed-in landing areas was used. The overlay is generated by RubyOSD. 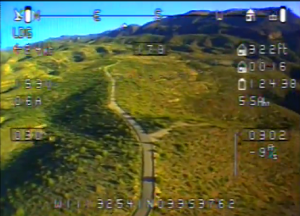 Autonomous landing in high wind and severe turbulence in rough terrain. The pilot did not feel that he had the skill needed to the plane manually in these conditions, so he let Ruby take care of it. Since the wind was higher than minimum airspeed, Ruby was able to hover the plane nearly stationary over the ground as it descended to final approach entry. 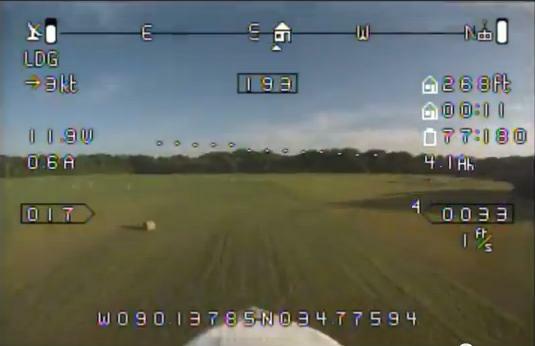 Landing within 50 feet of target. (skip to 19:51 mark in video). See a small plane with Ruby launched with hands off the transmitter and flown entirely in aided mode, maintaining altitude in sustained steep banked turns as the stick is just held all the way over. This video at fpvmanuals.com shows how Ruby is used to make launching a heavy Zephyr much easier. Here's a Zephyr II flying wing being hovered by Ruby in 30 - 40 knot winds, with gusts over 50 knots!